ICON-O-CLASH 2015 was a crazy ride this year! We started out with 64 amazing female characters and you voted for your favorites in a seeded tournament. Wonder Woman and Buffy got knocked out early, which was a shock. The Game of Thrones ladies held strong, but lost when Katee Sackhoff tweeted about voting for Starbuck and got the Battlestar Galactica fans all riled up. Ripley from Alien stayed on, almost until the end, but Starbuck and Ripley lost when Jewel Staite got Firefly fans to mobilize for Kaylee and Zoe. Ripley, who was last year’s winner lost to the ladies of Serenity. Like last year, Samantha Carter pulled through because of the ferocious Stargate fans on Tumblr! The final four, Samantha Carter vs. Princess Leia and Kaylee Frye vs. Zoe Washburne, were debated live at Wizard World Las Vegas by myself, moderator Audrey Kearns (Geek Girl Authority, 5 Truths and a Lie), Matt Key (The Groundlings, Popcorn Talk’s Marvel Movie News),Joseph Scrimshaw (Obsessed, Rifftrax, TableTop), Alan Kistler (Writer of New York Times Best Seller, Doctor Who: A History), Melissa McQueen (McQueen of Divas: Isis/Shazam Parody, Dorks of Yore), Pat Kilbane (Mad TV, Dorks of Yore) and Genese Davis (The Holder’s Dominion, MMORPG.com). The battle was fast and furious! This is about favorites, by the way, not who could win in a fight, though that was debated, too. Though the Sam Carter fans made a great argument and mobilized online, in the room, there was no way she was beating the iconic Princess Leia. Though Sam was winning in the online voting arena, the live votes pushed Leia over the edge. Kaylee vs. Zoe was a tough one. Kaylee was winning online thanks to Jewel’s tweet, and the room really loved her hopefulness and positive attitude, kickass and loyal Zoe took the room. However, those Kaylee fans online swept the vote. The final two, Kaylee and Leia were debated in the room and the votes were taken only from there. The outcome was pretty obvious. 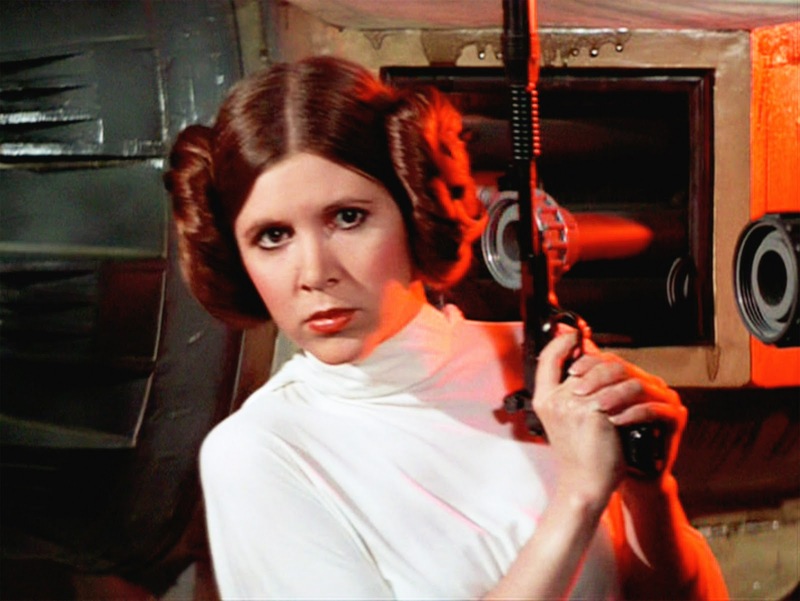 Princess Leia won! I’m not going to say I’m surprised and I’m certainly thrilled! Thank you all for voting and thank you to our partners over at Geek Girl Authority! May the Force be with you! Check out more from Legion of Leia on their website! Follow Legion of Leia on twitter, here! Follow Geek Girl Authority on twitter here and Google+ here! PreviousThe Cosplay Show – Ep. 14 – THE REAL ME Edition!